No, the Burlington Ruby Conference is not a gem show. It's a gathering of software developers who use the Ruby programming language. They're converging Saturday and Sunday at Burlington's Main Street Landing Performing Arts Center. Tickets for the second annual boutique event at have sold out; 150 programmers from all over the country are paying $200 a pop to attend. The conference kicked off with a Friday night reception. Programmers from Burlington, Seattle, Portland, Los Angeles and Philadelphia sipped Otter Creek brews and ate apps provided by Skinny Pancake. Several attendees pointed out: Though other Northeastern cities, such as Boston, have much larger Ruby programming communities, Burlington started hosting Ruby conferences last year. Boston is only just getting around to putting one on this fall. In other words, the Queen City crowd is ahead of the curve. 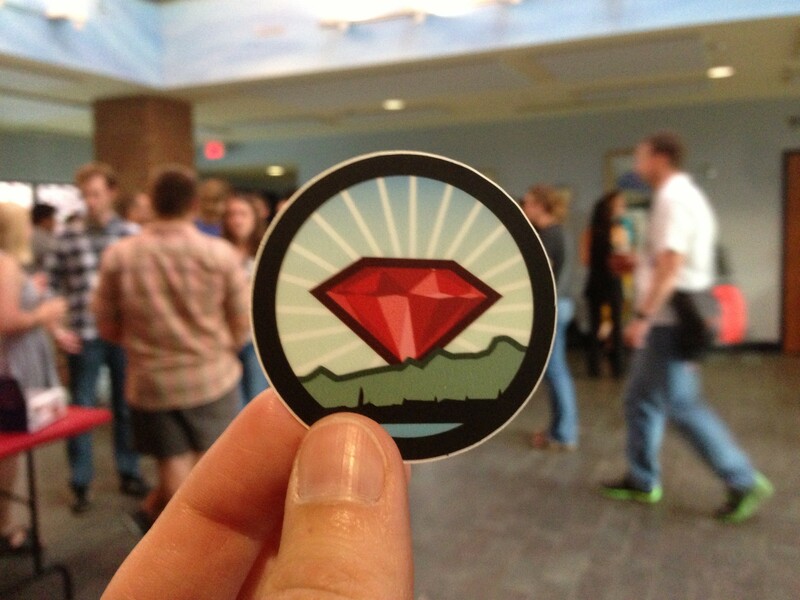 In fact, organizers speculated that the Ruby event is Vermont's only language-specific conference.